Well, all those fakes of the Washington Memorial with a condom on finally came to life, in Buenos Aires. 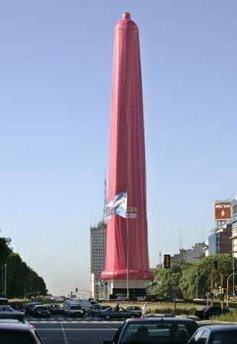 Argentinians commemorate World AIDS Day. Source: Yahoo.